This is Page 1 of 3 - the best of September 2018! 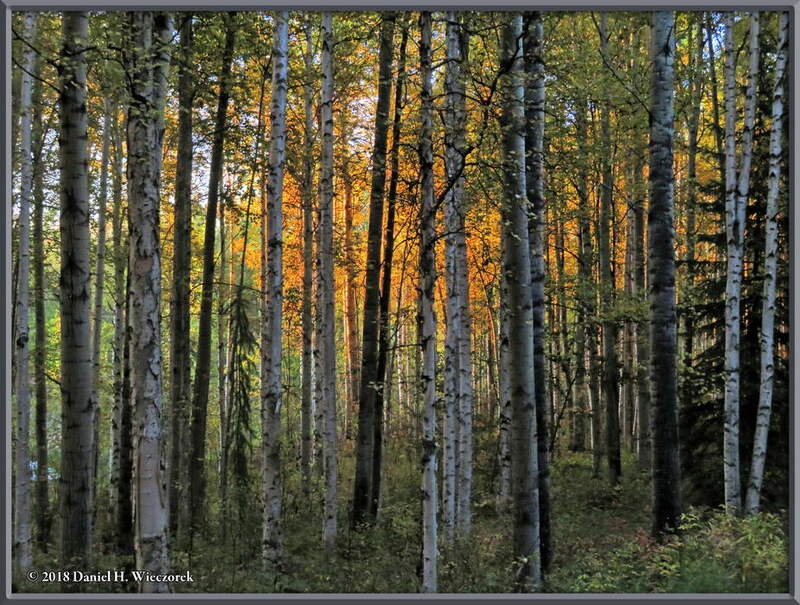 This page begins at home on September 11th - autumn colors through the trees as the sun rises. 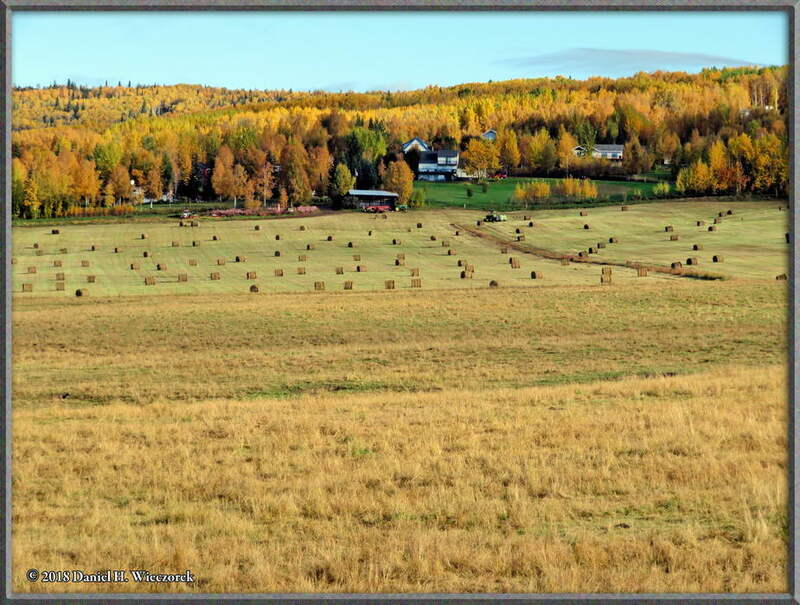 Then we go to September 13th and nice autumn colors about 0.5 miles from our house. 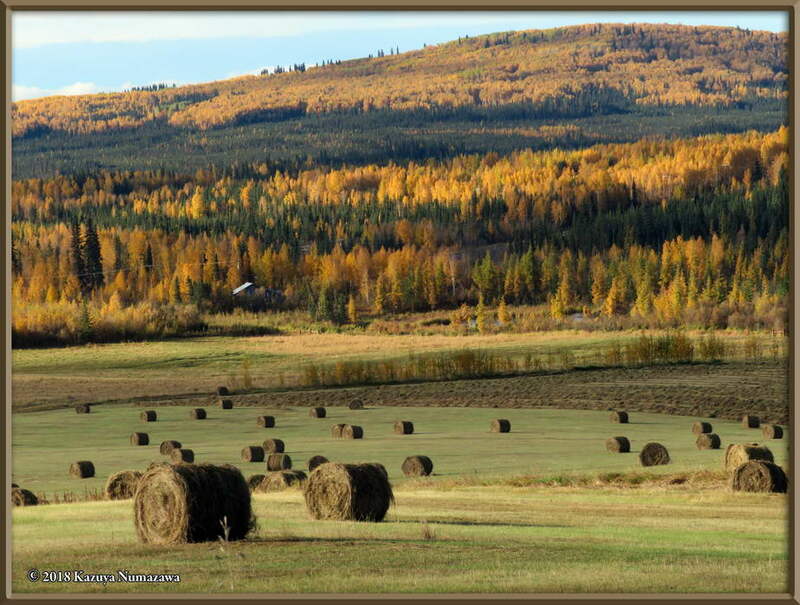 After that we jump to September 17th as we take a drive to photograph the autumn colors. 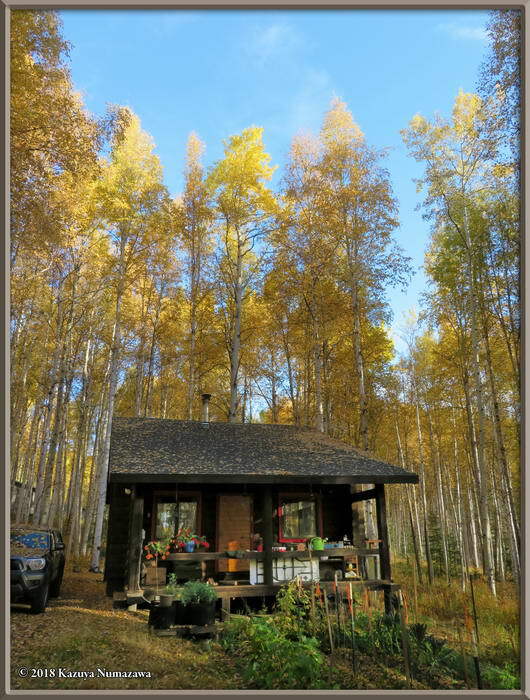 First, we go up the road from our house and then we go to Chena Hot Springs Road and drive towards Chena Hot Springs. Click on any thumbnail to begin. 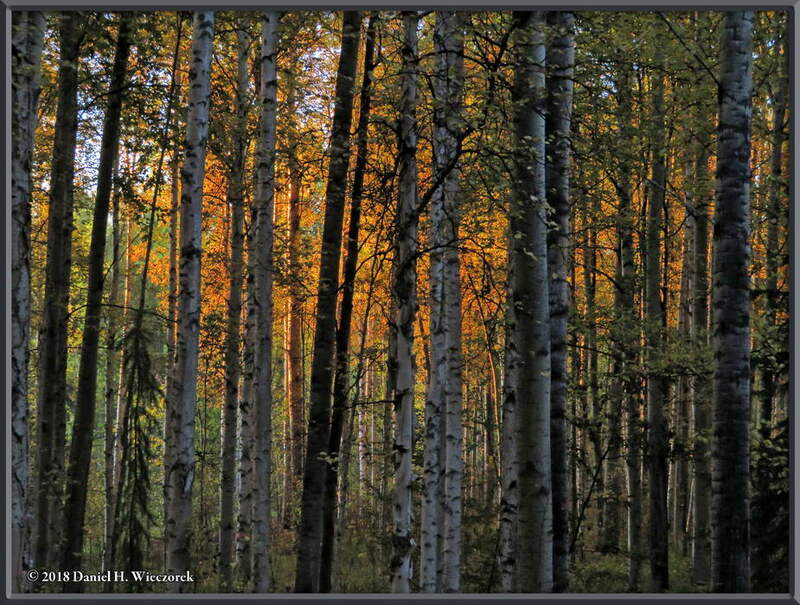 On the morning of September 11th we looked out the south windows and noticed that the autumn colors were showing up quite nicely off through the trees, so I went out and snapped a few photos. The first two photos were taken at around 6:25 AM. 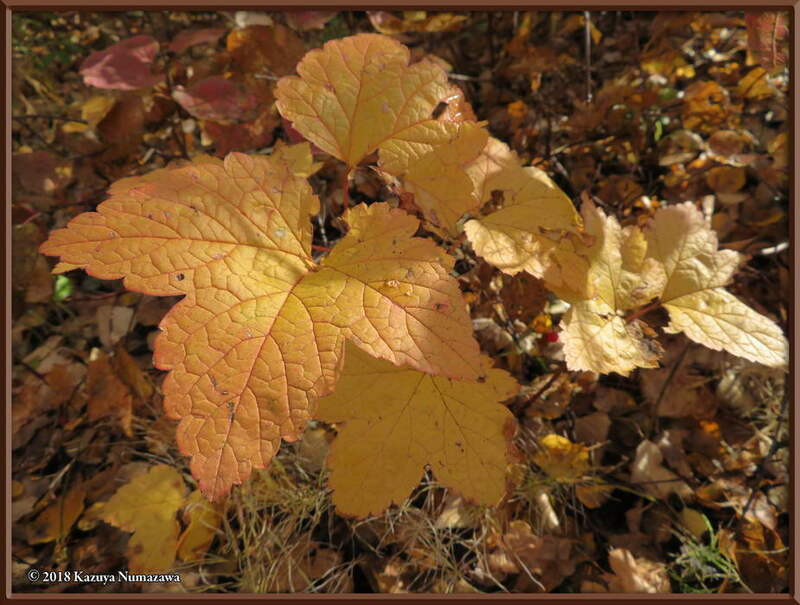 The third photo was taken much later in the day - at 4:25 PM. 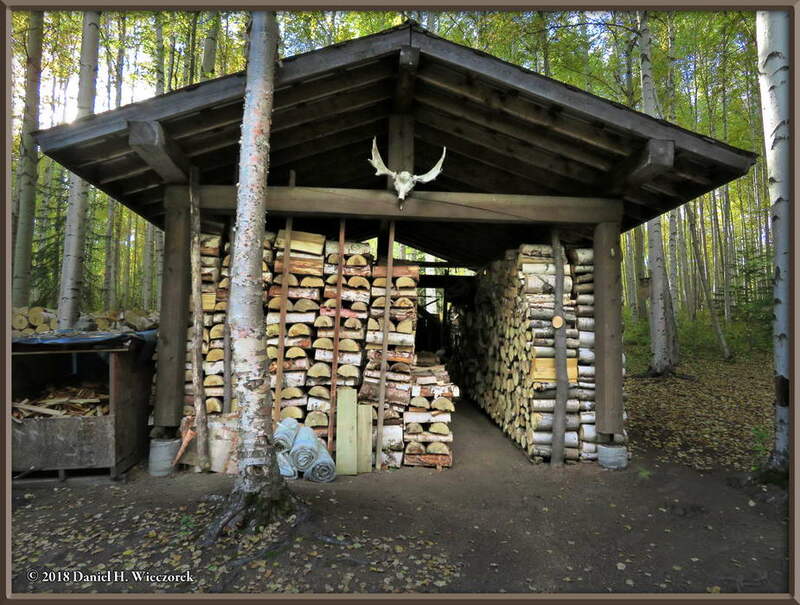 The first photo in this row shows our woodshed, nicely filled with much more than enough firewood to keep us warm for the winter. 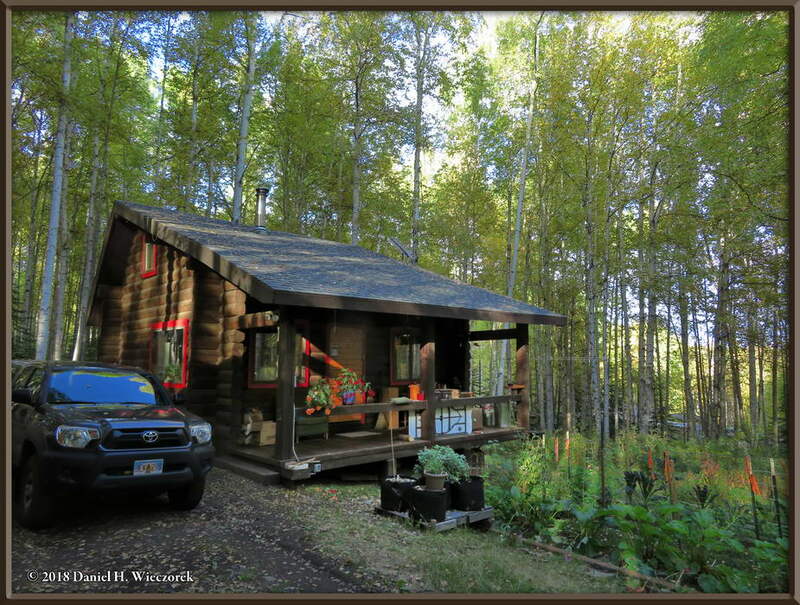 The second photo shows our house and pickup truck. On September 13th I had to go into town for a dentist appointment. 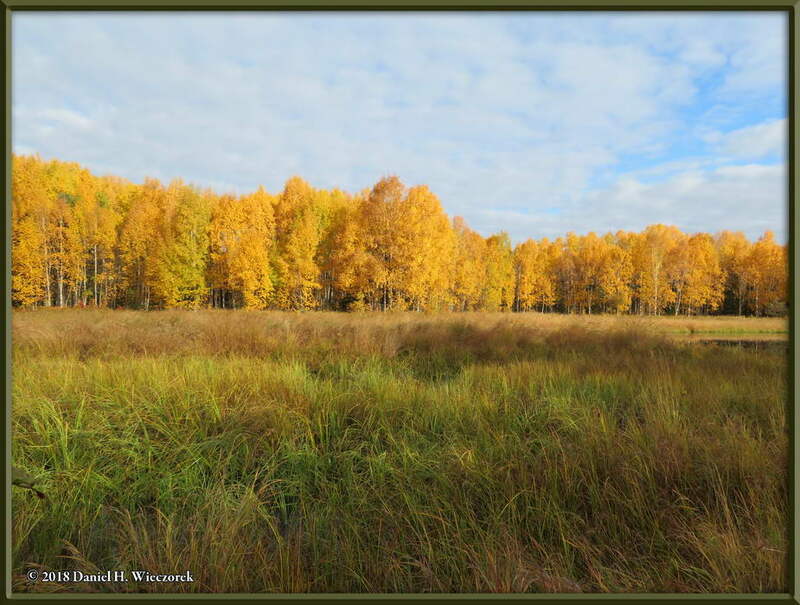 On my way back home I stopped along the Chena Hot Springs Road and snapped a few photos which show that the autumn colors are beginning to takeover the landscape. 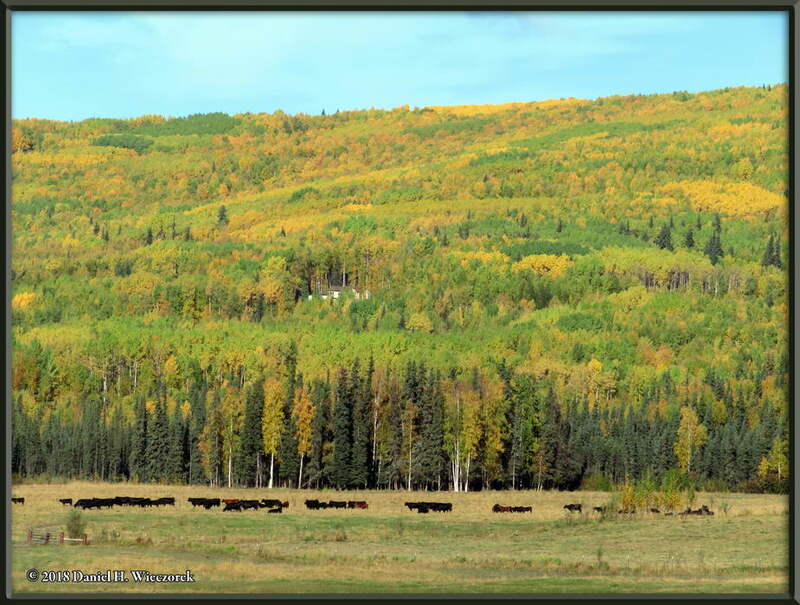 These photos were taken about one mile from our house via the roads, or about one-half mile as the crow flies. 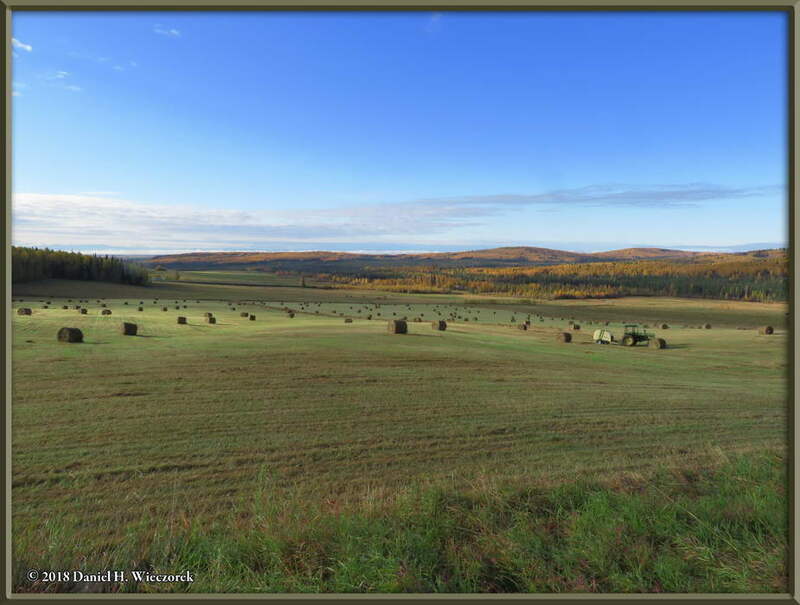 The second image is a two-shot panorama. 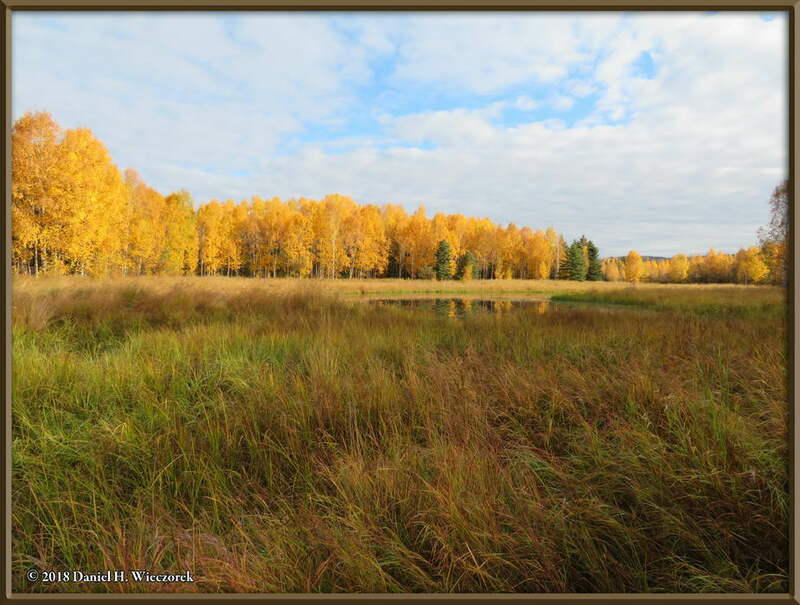 These two panoramic images were captured from the same spot as the ones in the previous row and show some really nice autumn colors. 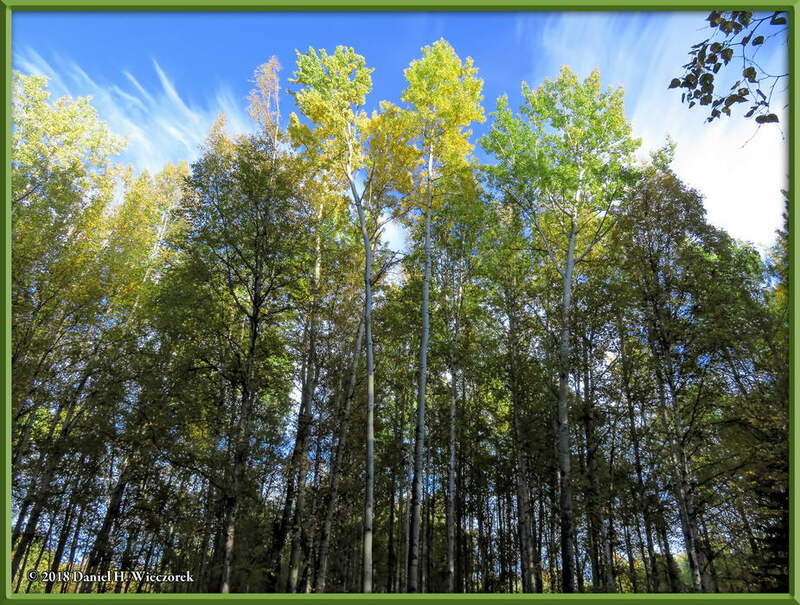 Note how individual clones of aspen show that all trees within that clone are very close to the same exact color. 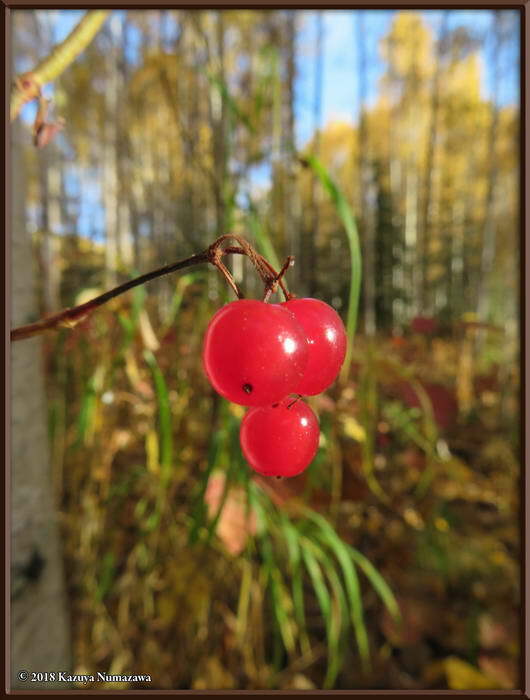 Monday, September 17th was an amazingly beautiful day and we had free time to go for an outing so we drove out the Chena Hot Springs Road to capture on film and for our long-term memory, how beautiful the autumn in Fairbanks is. 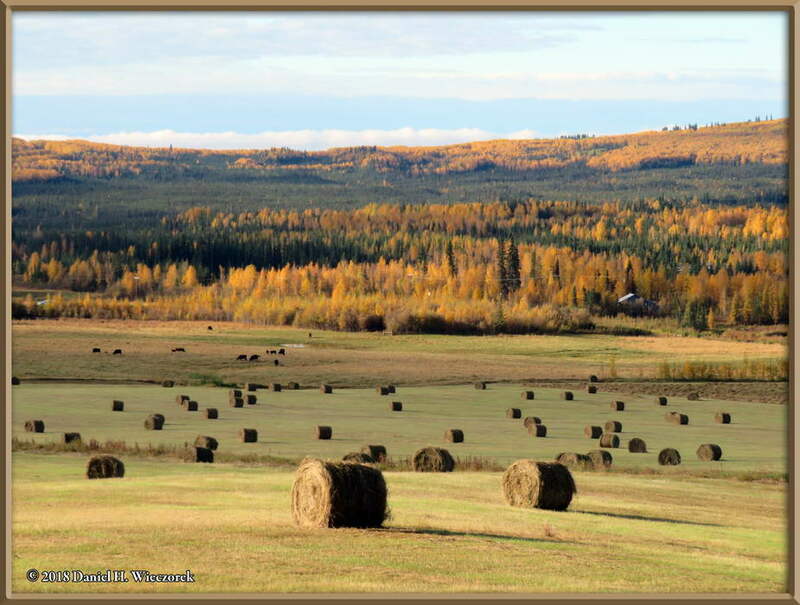 The three shots in this row were taken before we even managed to get in the pickup truck and begin! 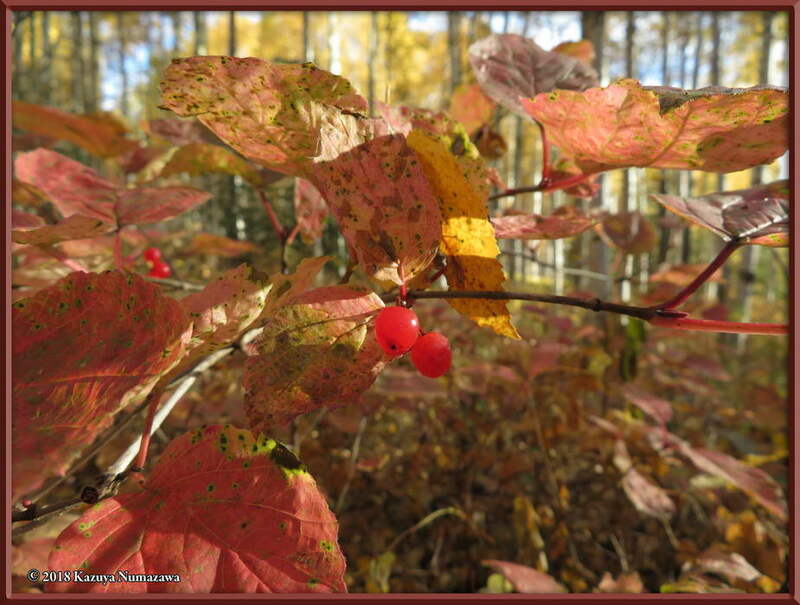 Here are two more shots of the Highbush Cranberry (Viburnum trilobum) shown in the previous row, which were taken before we even left home. 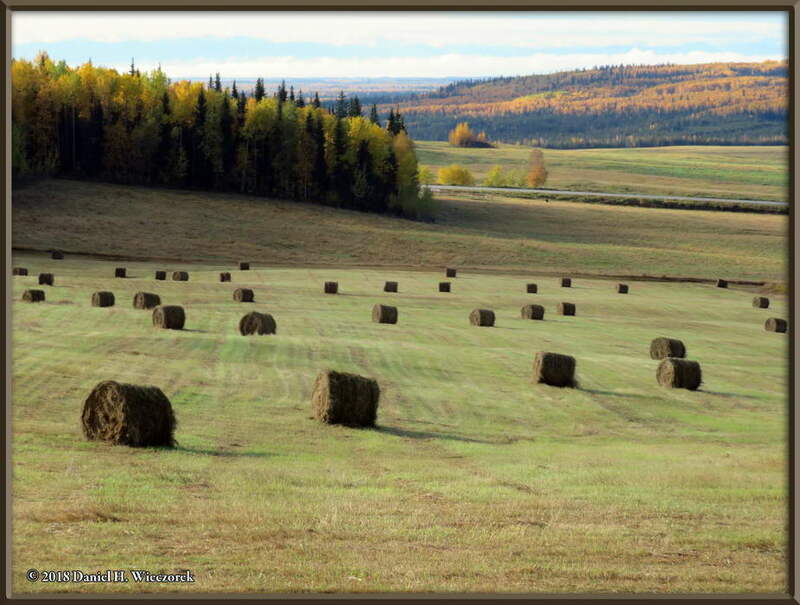 The third shot was taken from an open field on Steele Creek Road. 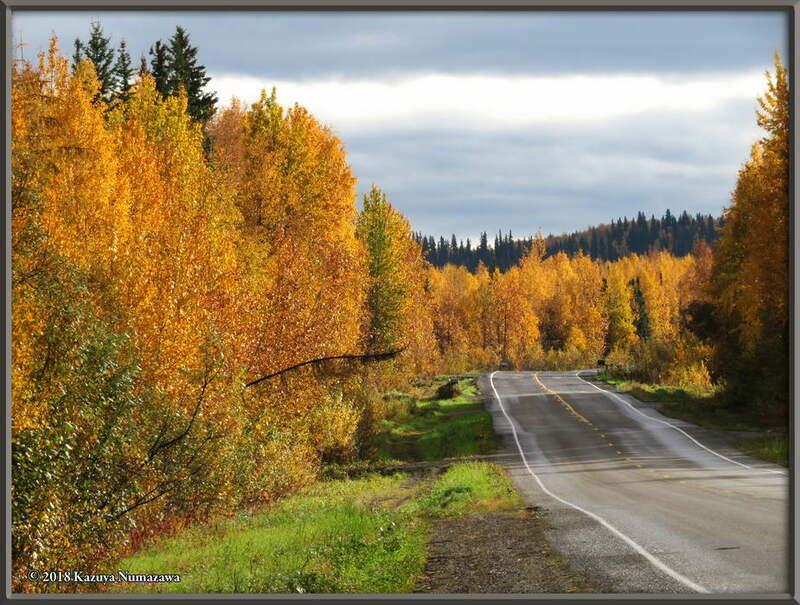 Steele Creek Road begins at 3.8 mile on the Chena Hot Springs Road. 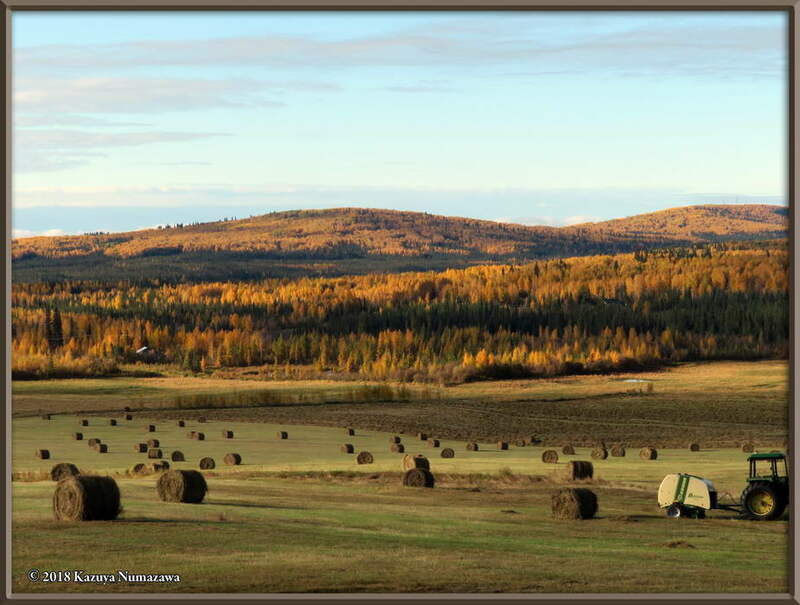 This shot was taken about 1.5 miles uphill from the Chena Hot Springs Road. 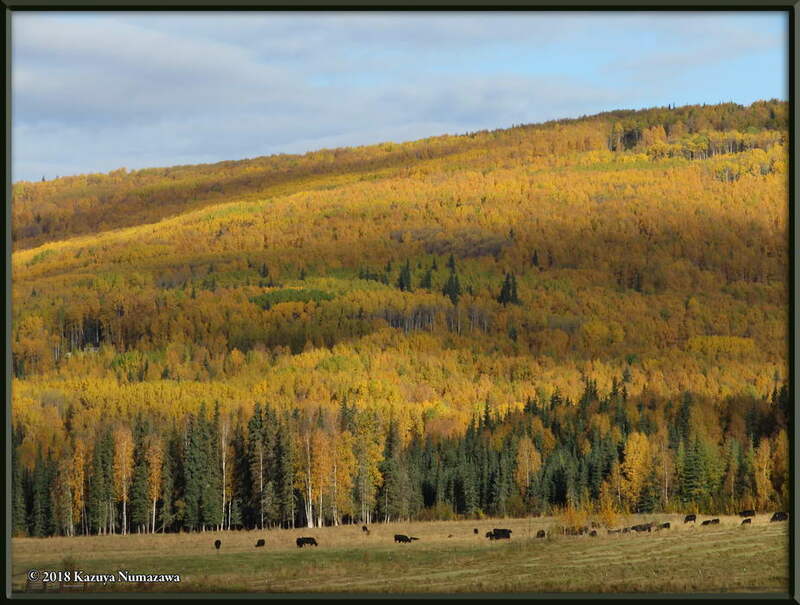 Here are three zoomed-in shots taken from the same location as the third shot in the previous row - so amazingly yellow. 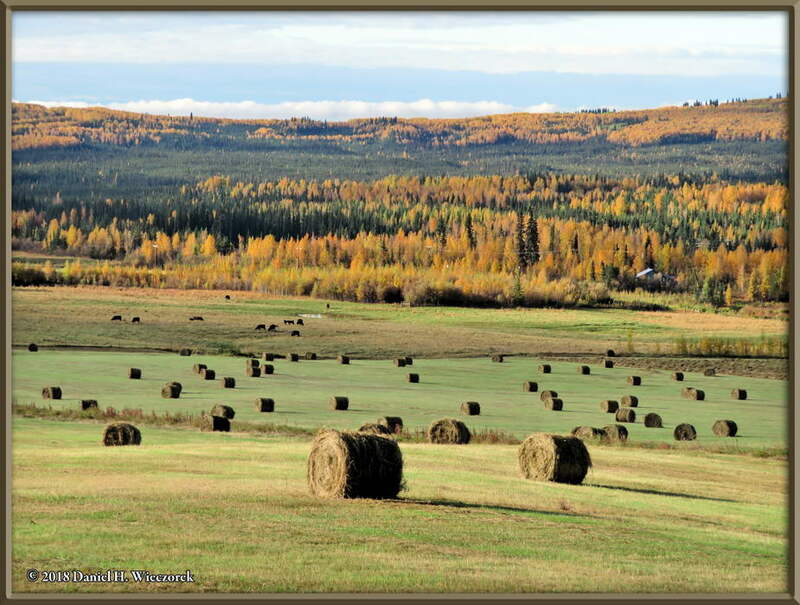 And here are three more zoomed-in shots taken from the same location. 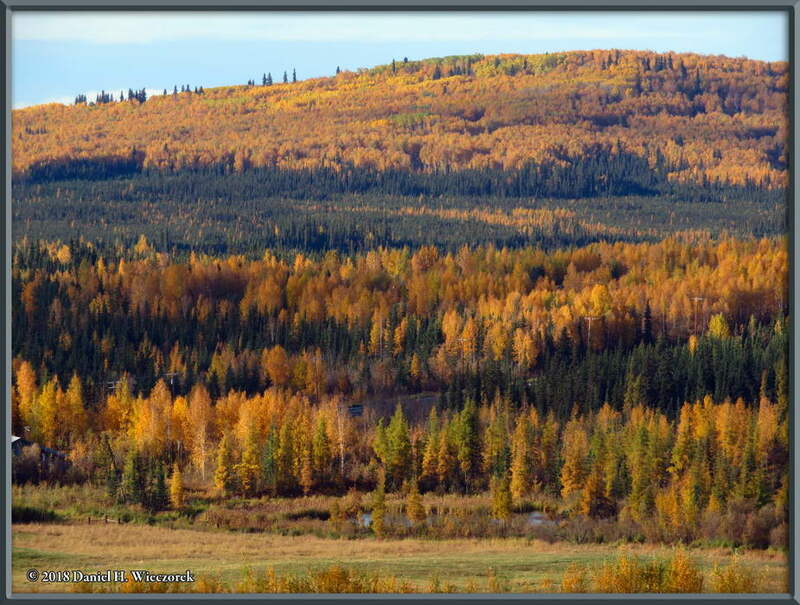 In the first shot, the paved road which you can see down there is the Chena Hot Springs Road. 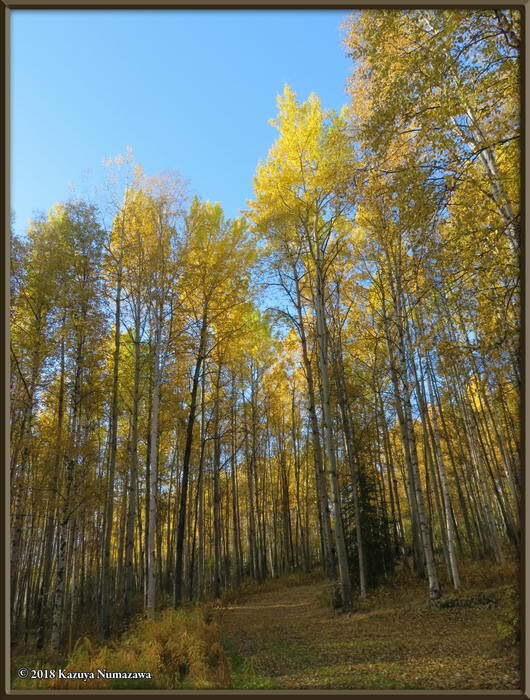 The first two shots in this row were still taken from the same location, but the third shot was taken from the Chena Hot Springs Road looking up at where the previous shots were taken from. 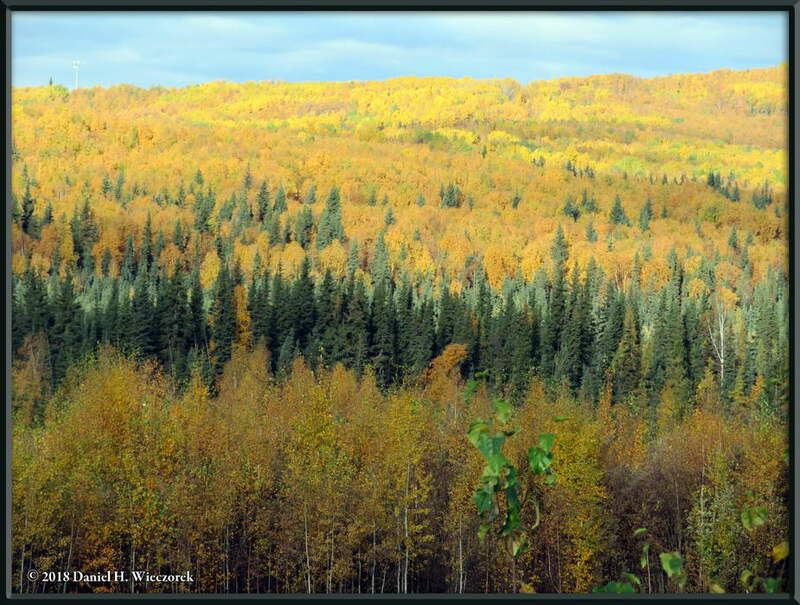 These three shots were taken from the Chena Hot Springs Road, but were still taken from the same location as the third shot in the previous row. 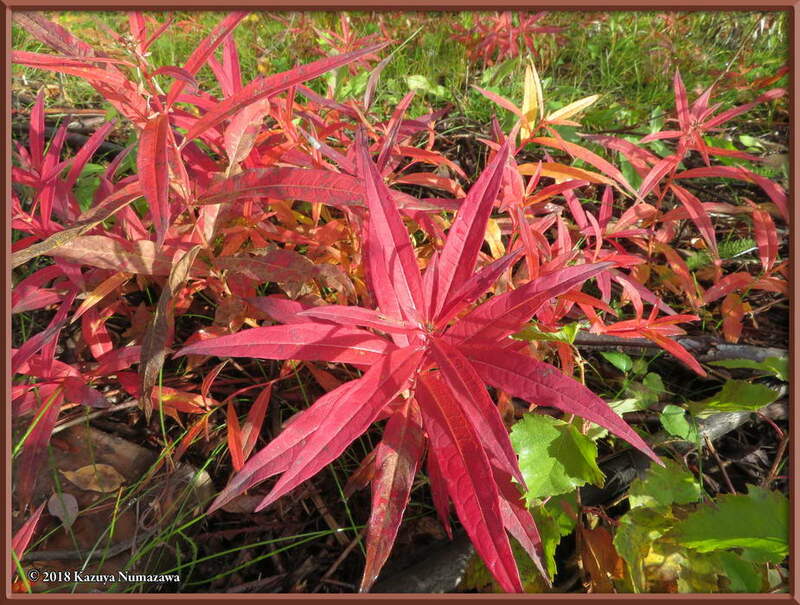 The first shot is a beautiful magenta of the Fireweed leaves. The first two shots in this row were still taken from the same location. Compare these last several photos with the shots in Rows 3 and 4, which were taken from the same location. 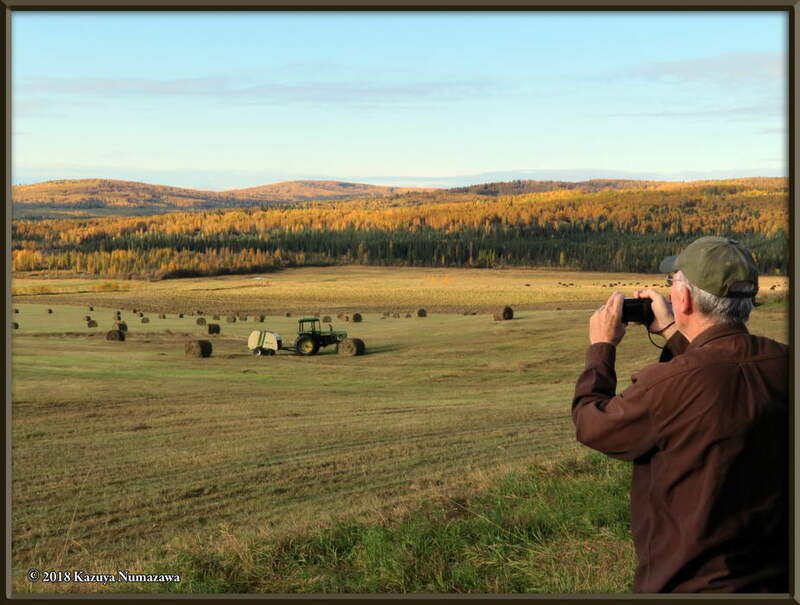 The third shot in this row was taken from about 15 miles farther out, on the Chena Hot Springs Road. 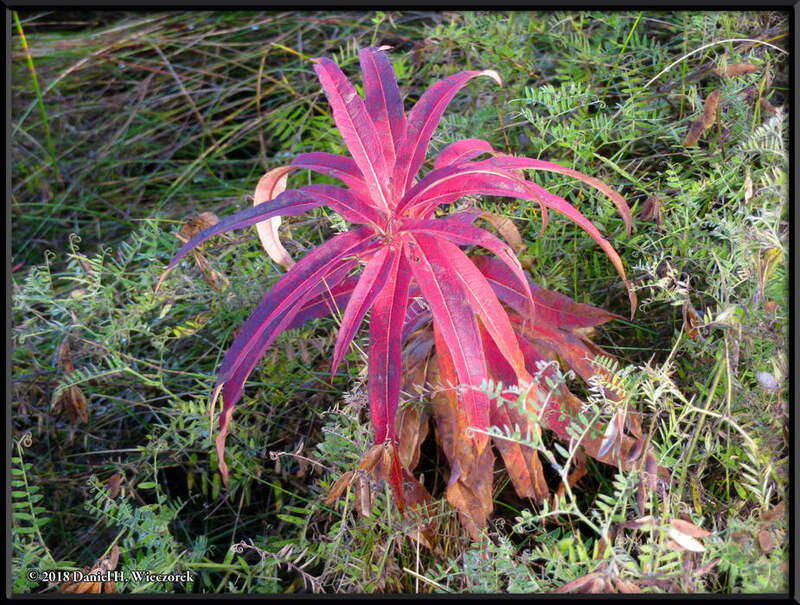 These three final photos on this page show just yellow and magenta. 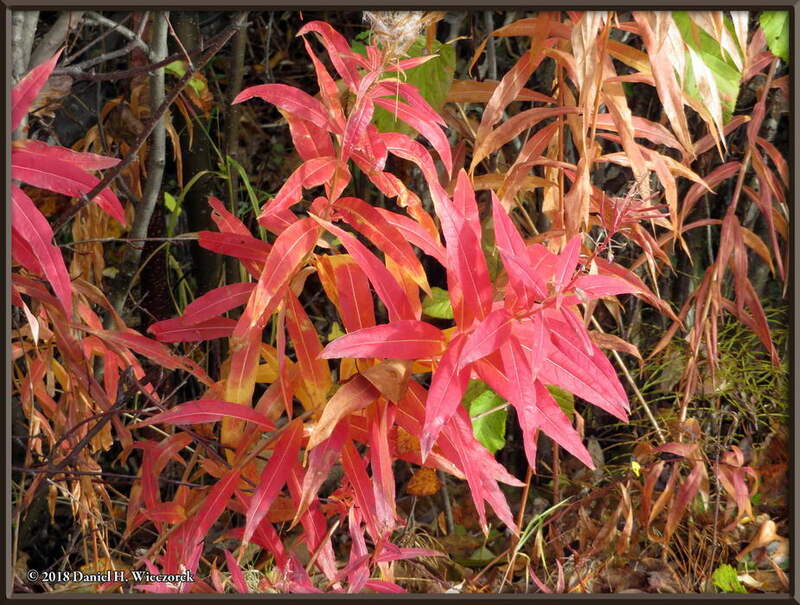 It would be nice if we also had a few red maple trees, but we do not, so we are just happy with what we do have. It's so beautiful.